When it comes to restoring your Mustang, adding a set of new tail lights is one of the best ways to get your rear end looking brand new. Late Model Restoration carries a full line of Ford Mustang tail lights to get your car looking as good as the day it rolled off the assembly line. 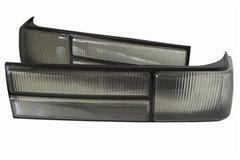 Choose from factory replacement or aftermarket lights for your Fox Body, SN-95, New Edge, or S197 Mustang. 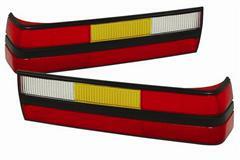 For 1979–1993 Fox Body owners, we offer full tail light assemblies and lenses in various styles including LX, Cobra, GT, and SVO. 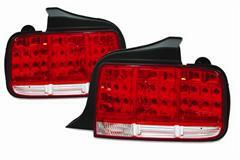 Late Model Restoration offers only the highest quality Mustang tail lights and accessories for 1979-present Stangs. 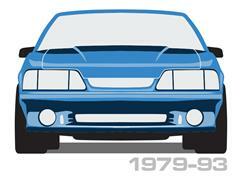 LMR offers stock replacement lights for your Fox body and newer Mustangs. 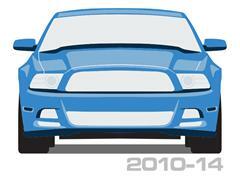 These direct replacements restore the look of your car while improving visibility at night. Help give your Mustang a stealth look with a set of smoked taillights. Contouring to the body lines of your Mustang, these lights give the perfect contrast to your color or to even give you the blacked out look. Euro Smoked tail lights are a unique style of lights. They are a quick way to separate your style from the crowd and to stand out! 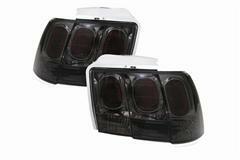 These smoked euro tail lights install smoothly without having to cut or fabricate any piece of your Mustang. They are DOT compliant for legal street use. LED tail lights are a perfect install if you are wanting to add something different to your Mustang. 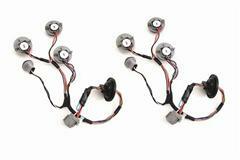 LED lights are much brighter than factory lights and are a great way to add a touch of modern to your older Mustang. 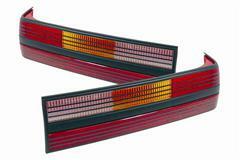 SVO tail lights are a great addition to your Fox Body or 1993 Cobra. 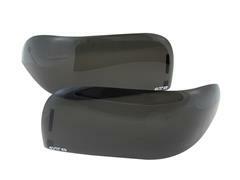 These lenses are modeled from the 1985-1986 Mustang SVO for its unique and stylish look. 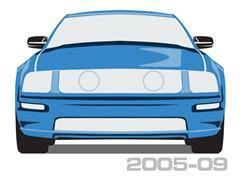 They are molded from original Ford tooling and ensures a perfect fit. LMR offers a vast number of accessories for your lighting experience. 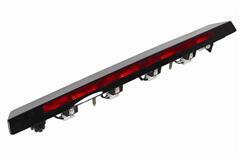 From tail light covers, sequential tail light kits, hardware and third brake lights. Third brake lights are a great way to add unique styling to your Mustang. All lights are made to be a direct replacement with no modification needed. 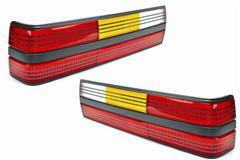 With options from LED, smoked, or chrome these lights are a great way to show off your car. Tail light covers are a great way to achieve the blacked out look without having to spend money on buying new tail lights. With an easy snap on installation these covers are a great addition to customizing your Mustang. 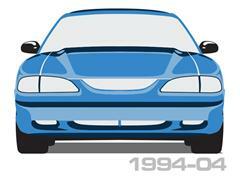 Late Model Restoration offers a variety of covers to help fit your Mustang. Hardware is crucial in ensuring a secure correct fit. Late Model Restoration features tail light nut kits, assembly nuts, and housing nuts. A tail light installation kit is offered to help prevent water from entering them with leak free sealant tape and twelve retaining clips. Shop LMR.com for all Mustang tail light products!